New ATP batch in KANNA TECHNOLOGIES… register soon !!! 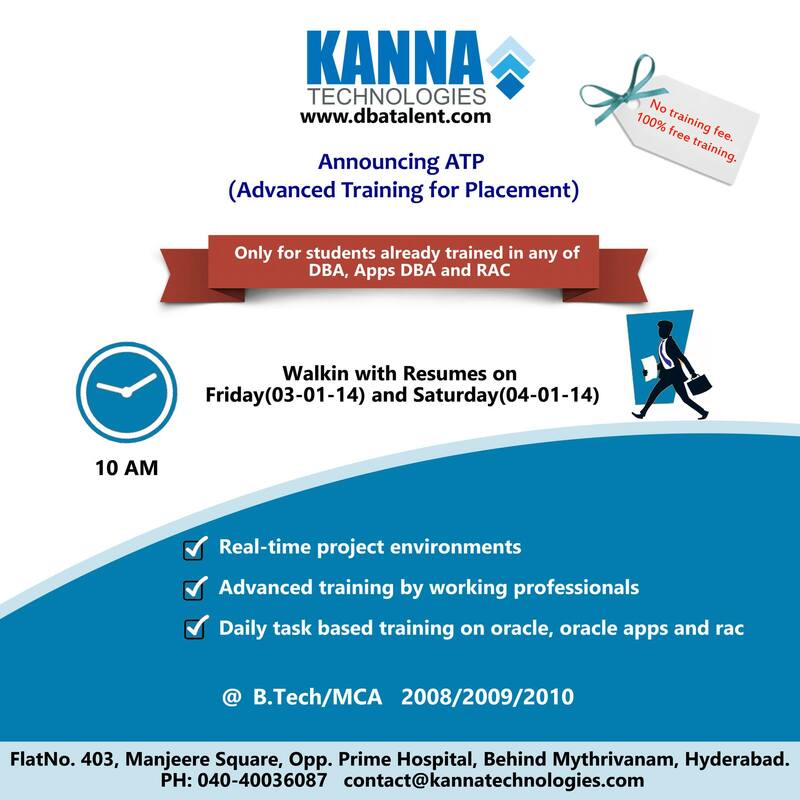 Kanna Technologies proudly annoucing the ATP[Advanced Training for Placement]. Walkin with Resumes on 3rd &4th JAN 2014 Kanna Technologies Ltd. Training Office Address@10 AM. Only B.Tech or MCA 2008/2009/2010 Passed outs who are having knowledge in any of DBA,AppsDBA,RAC .. This entry was posted on December 31, 2013 at 6:44 PM	and is filed under Training. You can follow any responses to this entry through the RSS 2.0 feed. You can leave a response, or trackback from your own site. hi sreeram, check whether your oracle_home is set properly or not.